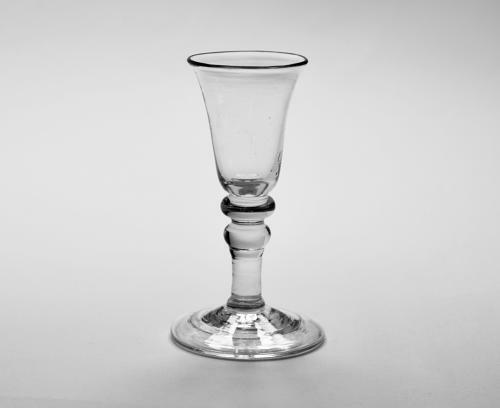 Balustroid gin glass with bell bowl, two shoulder knops and a folded foot. English C1740. Note: A neat well made little glass.